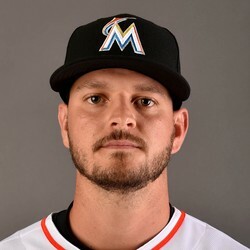 Former Miami Marlins pitcher Justin Nicolino was claimed off waivers by the Cincinnati Reds on Sunday. Nicolino was already going to be a bad fantasy option in pitcher-friendly Marlins Park. He'll be nothing short of a disaster pitching his home games in Cincinnati's hitter's haven. If the Marlins didn't even want Nicolino, your fantasy team absolutely shouldn't either.